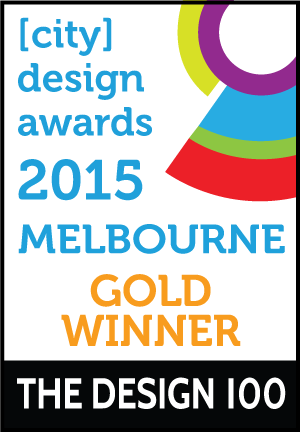 Dulux is an iconic Australian brand that evokes a sense of trust and confidence in its products. 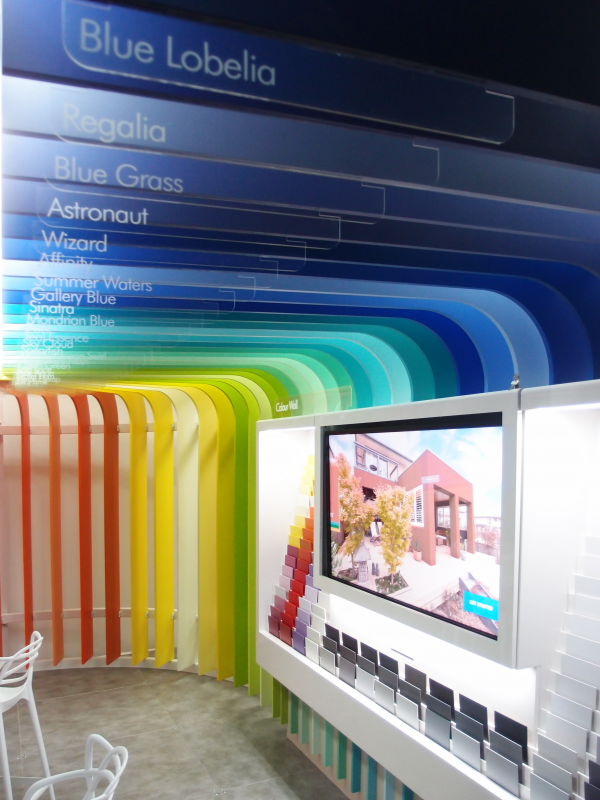 From humble beginnings in Sydney the brand has grown to be one of the most recognisable and respected leaders in paint technology and innovation. 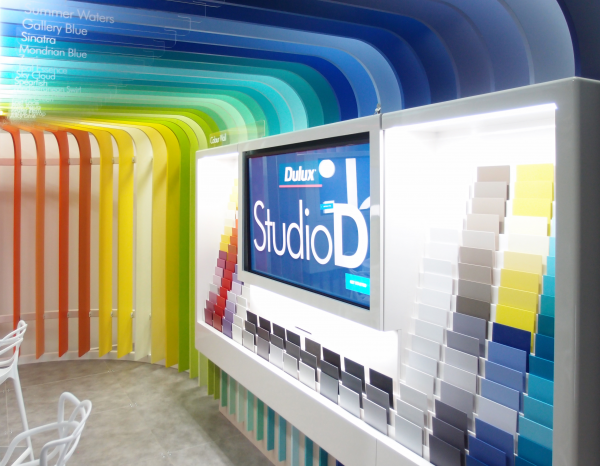 Dulux sits at the forefront of home décor, design and colour, influencing the colour trends of the season. 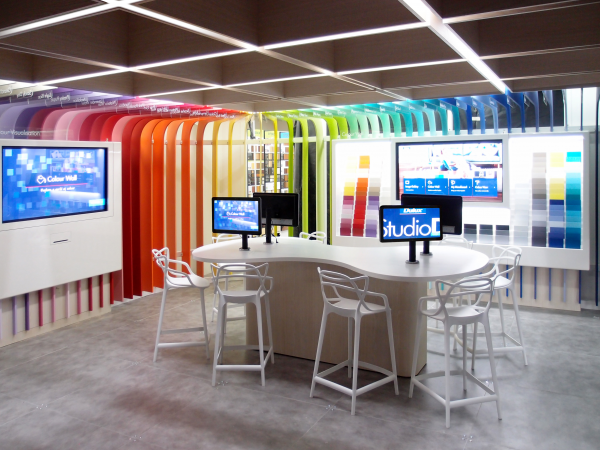 e2 was engaged by Dulux to design a Studio D pop up within existing Armadale Inspirations store to support the companies push to trial digital colour section tools to assist make colour selection easier and reduce reliance on traditional colour chips, which create hundreds of tonnes of paper disposed in municipal waste every year. 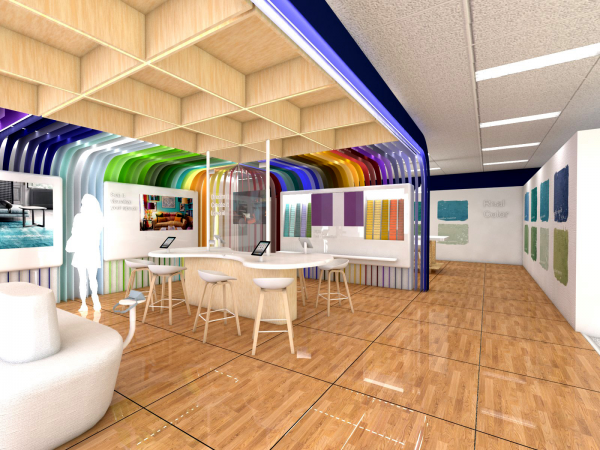 Dulux aim to transform the customer colour selection journey focused on two primary areas. 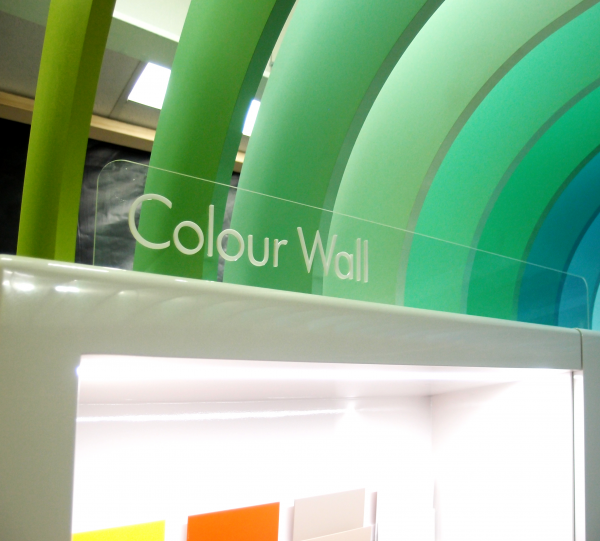 To begin the transition to a more sustainable platform with less reliance on costly printed colour samples that consume significant amounts of paper and are regularly pulped when colour directions change and to integrate the colour selection journey more seamlessly into customers digital lifestyle providing integrated colour information and guidance that bridge the digital and retail environments. Transitioning customers from a traditional printed colour sample based colour selection journey towards a digital colour selection journey involves a major shift in customers understanding of how colour will work in their home and the introduction of new technologies and tools to assist customers narrow down their colour selection to one or two options that they can test in their home using large colour samples or sample pots. 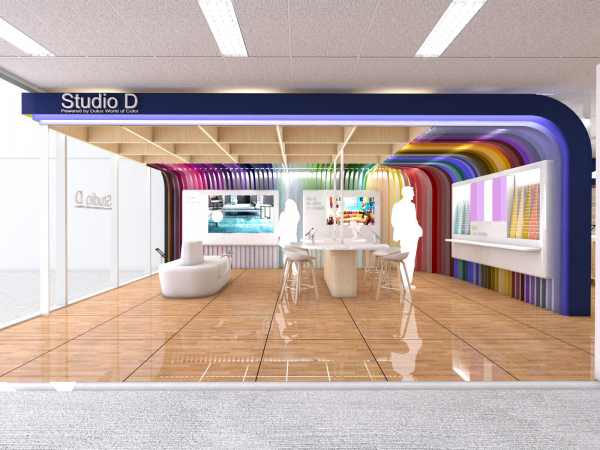 The challenge for Studio D is to build trust in digital colour via an integrated customer journey using a new digital process that provides customers with the step by step tools to visualise their space and make the final colour choice simpler and with more confidence. Additionally e2 establish relationships with suppliers with proven sustainability policies and procedures. Our approach to sustainability focuses on three key areas.